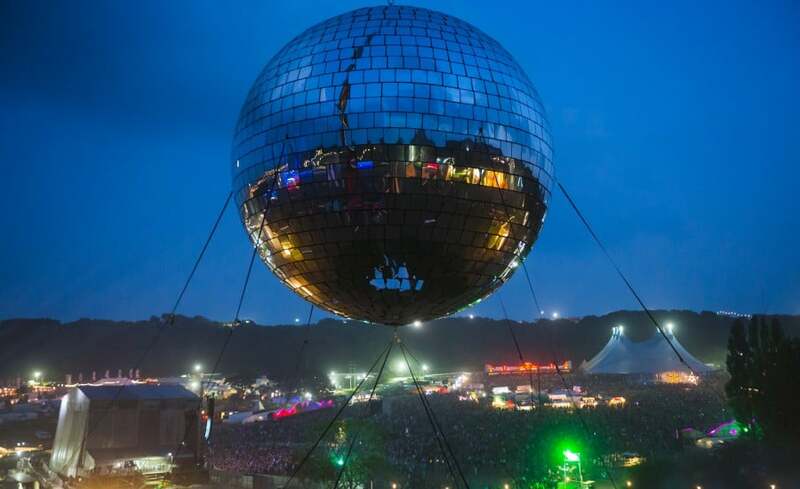 According to Guinness officials who were at Bestival over the weekend (6 September 2014), the Disco Ball measures 10.33 meters, breaking the previous record of the Casa Bacardi, ‘Larger than Life Party’ in Moscow 2012, measuring 9.98 meters. 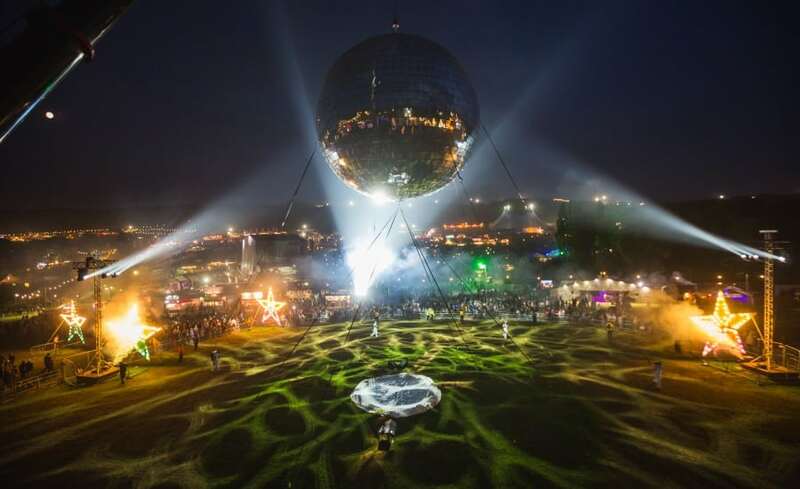 The Disco Ball was the vision of Bestival Event Organiser Rob da Bank and conceptual design by UK’s leading show design firm, Newsubstance. When inflated, the black matt PVC fabric was wrapped entirely in a net made of polypropylene. 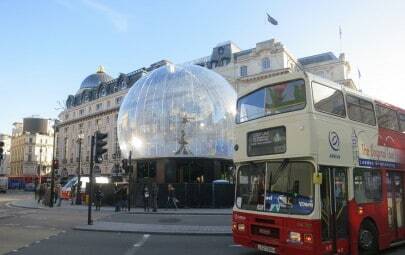 The net was required to affix the thousands of small reflective styrene mirrors to the structure. Mirrors were connected to the net by cable ties. To inflate the structure, we used a large industrial fan plugged into the mains. Once inflated, a smaller battery operated fan positioned under the headring of the structure maintained air pressure. The internal fan is connected to a sensor located in the middle of the structure which tells the fan to start up when required. 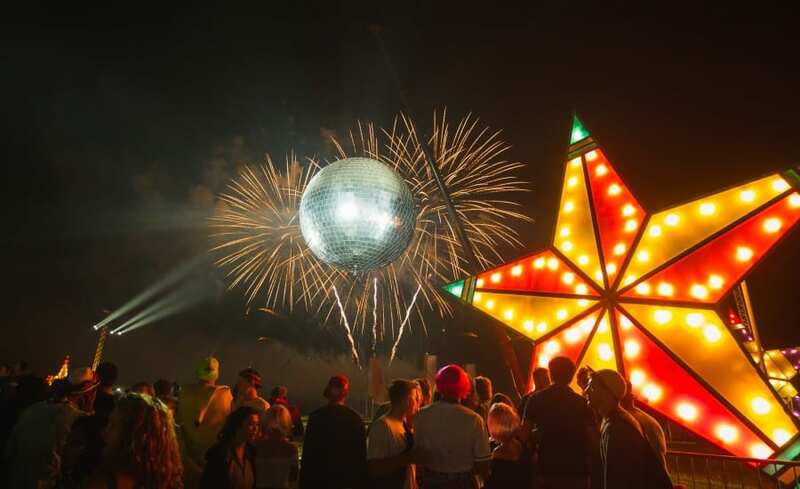 Our client, Newsubstance, were responsible for the installation of the mirrors to the disco ball and the installation of the structure at Bestival. 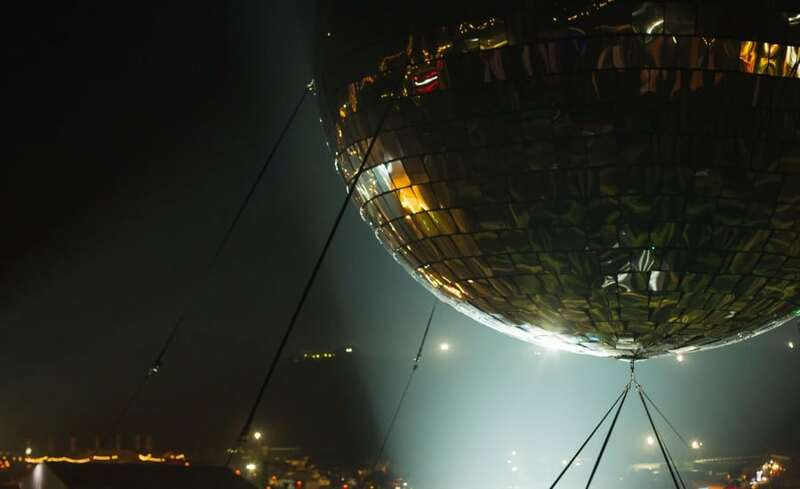 Holding the structure in place high above the Bestival crowds was a 100 tonne crane. Having created the ‘World’s Largest Snowglobe’ over Eros last year in Piccadilly Circus, Architen Landrell created the detailed design, fabric pattern, engineering, and manufacturing at our Chepstow based factory and studio. 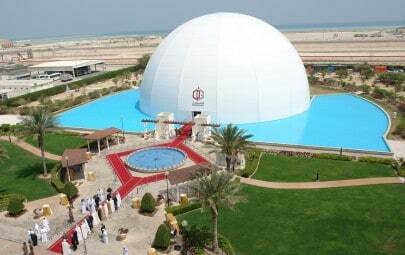 Both the Disco Ball and the Snow Globe use similar technology and demonstrate just how versatile fabric is in creating landmark projects, both temporary and permanent. 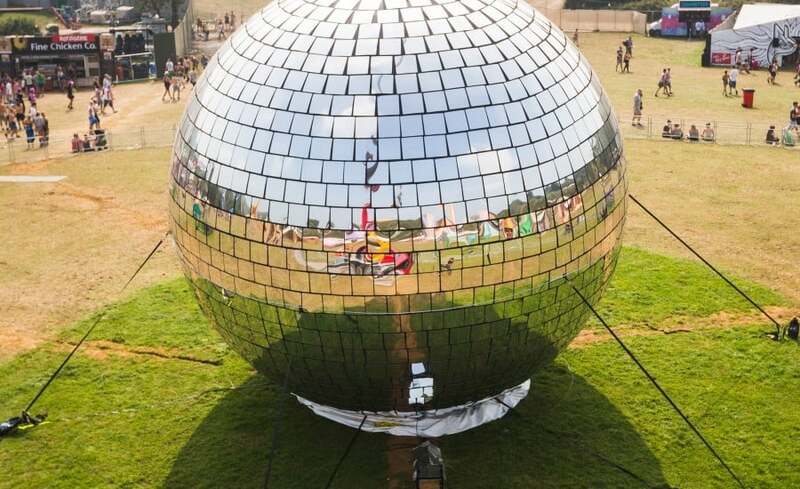 The Disco Ball set the Bestival Fancy Dress theme this year of ‘Desert Island Disco’. 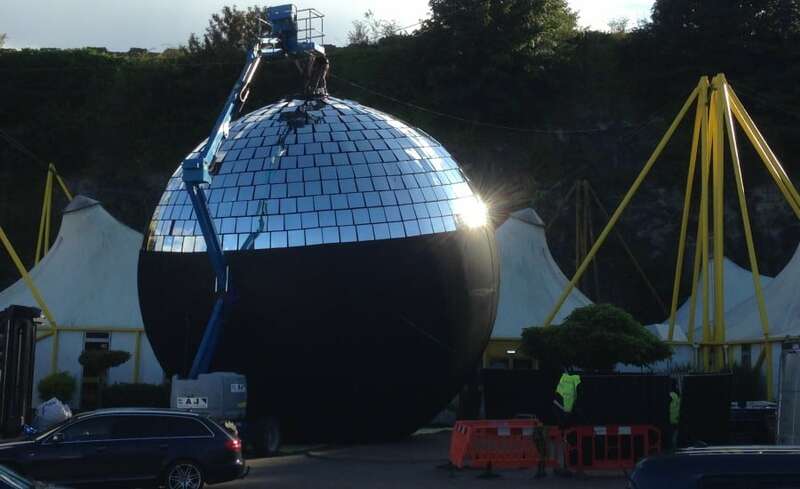 Not only did the Disco Ball look the part on the ground, it really came to life when lifted by crane and spun around with lights reflecting off it while Nile Rodgers of Chic performed. 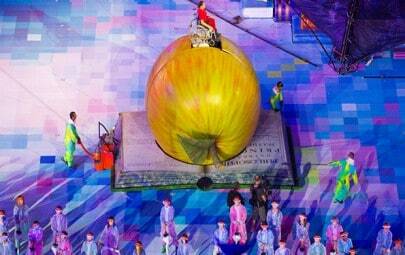 What an awesome experience it must have been for those lucky enough to have been at the festival. Headlining acts included: Chic, Outkast, Beck, Foals, and Sam Smith.